Credit card transactions are secured through Paypal or our bank website. Your bank data are SSL encrypted (https logo with padlock icon in the address bar) and will never circulate unscrambled on the Internet. 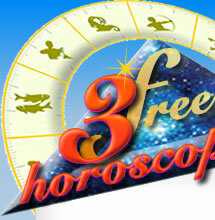 The charge will be reflected on your bank statement as 3HOROSCOPES.